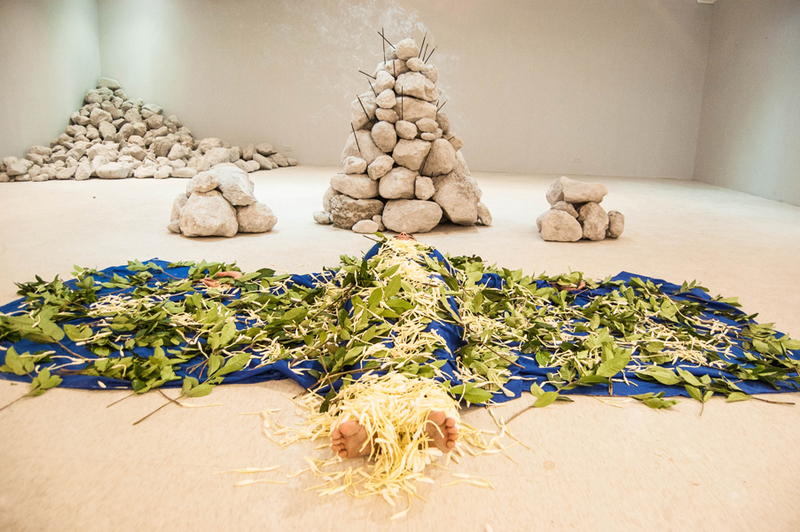 In the “Gaia” project, I have been examining the body’s identification in relation to the ground on which it happens to be situated, on the basis of a physical-geographic, geological-material, metaphoric-symbolic dimension. 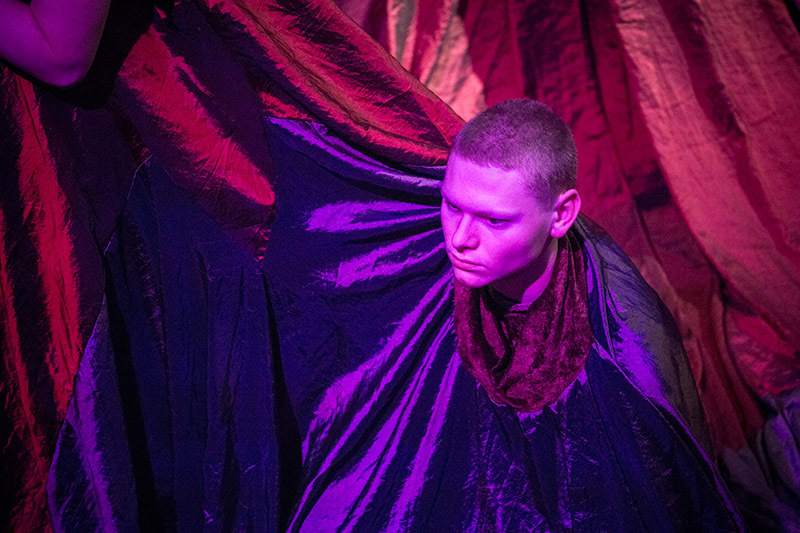 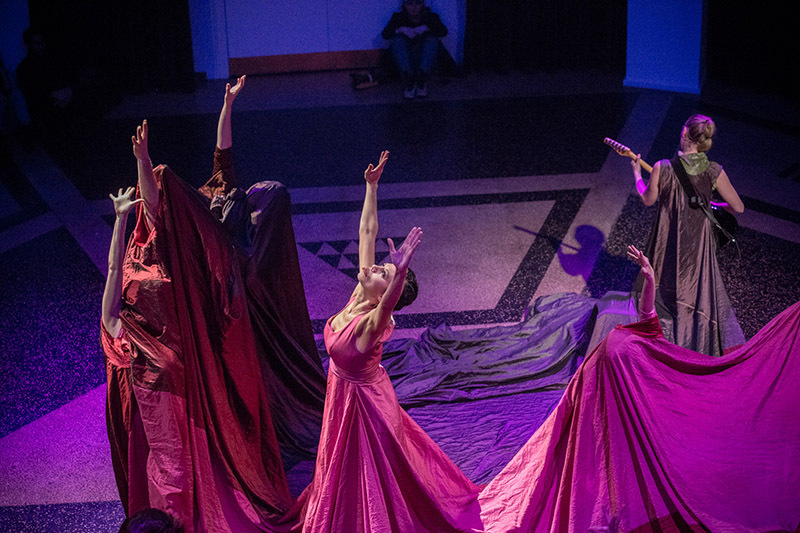 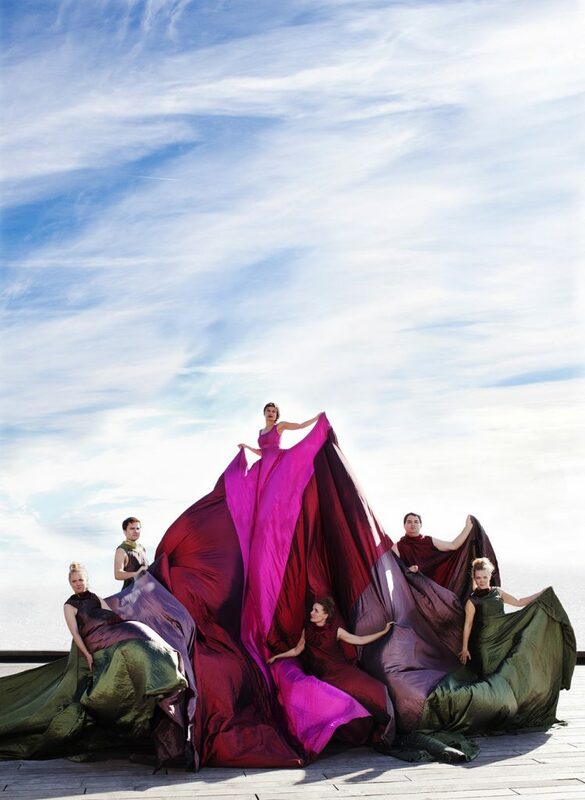 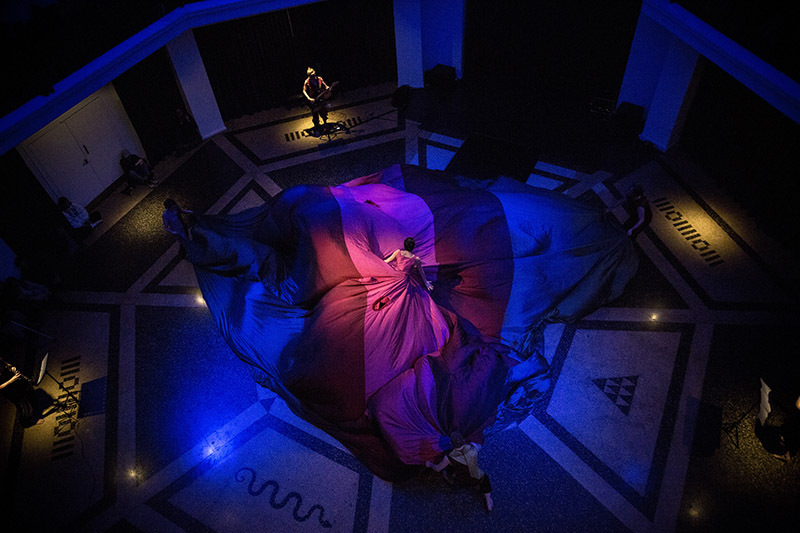 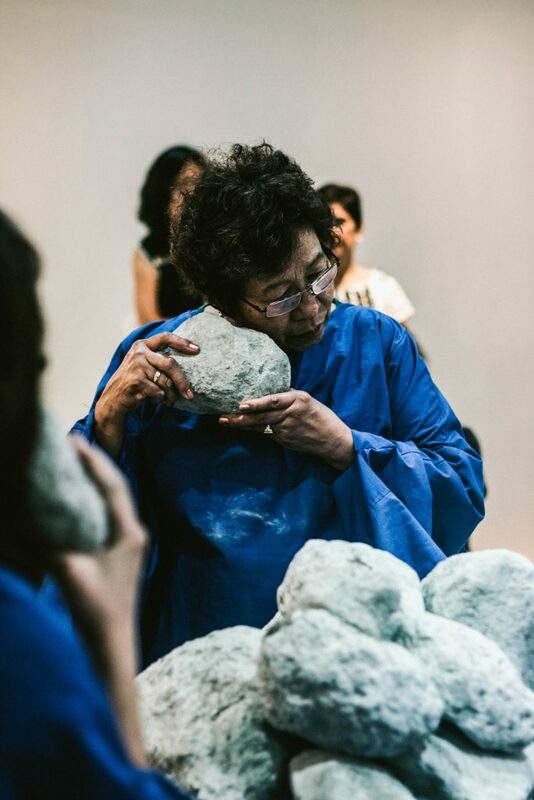 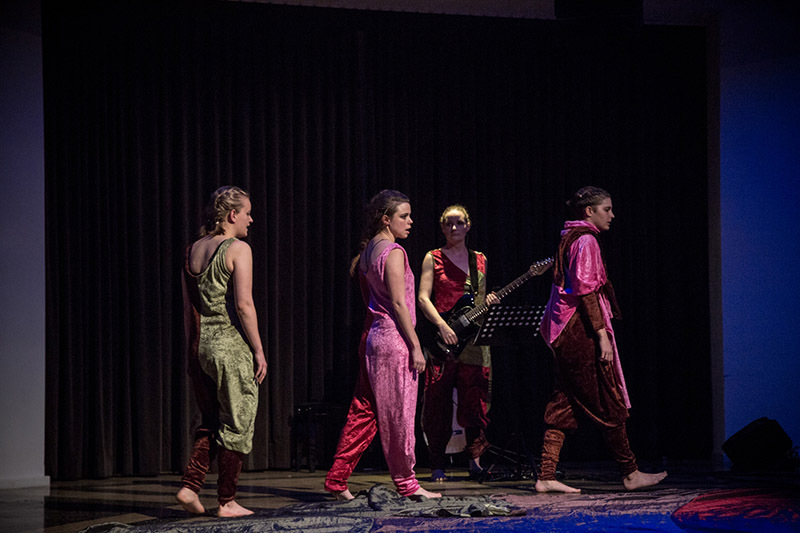 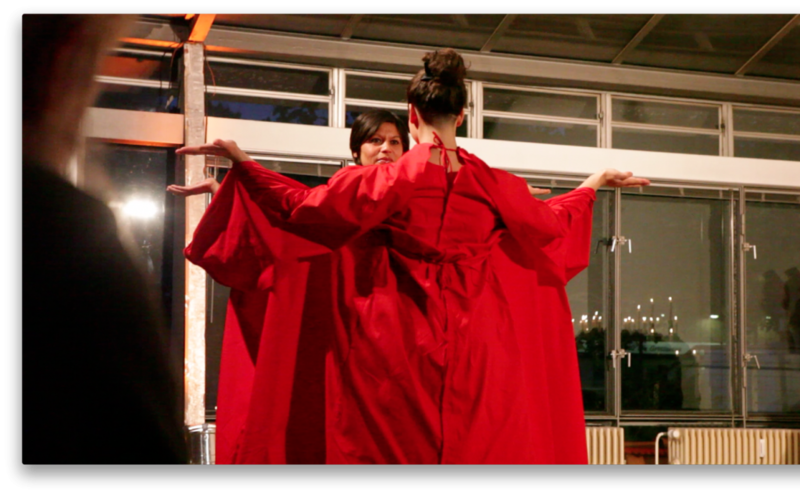 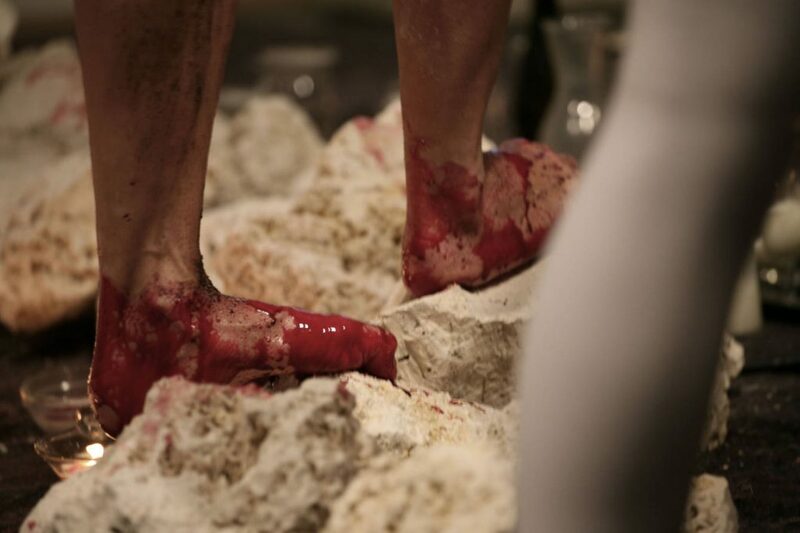 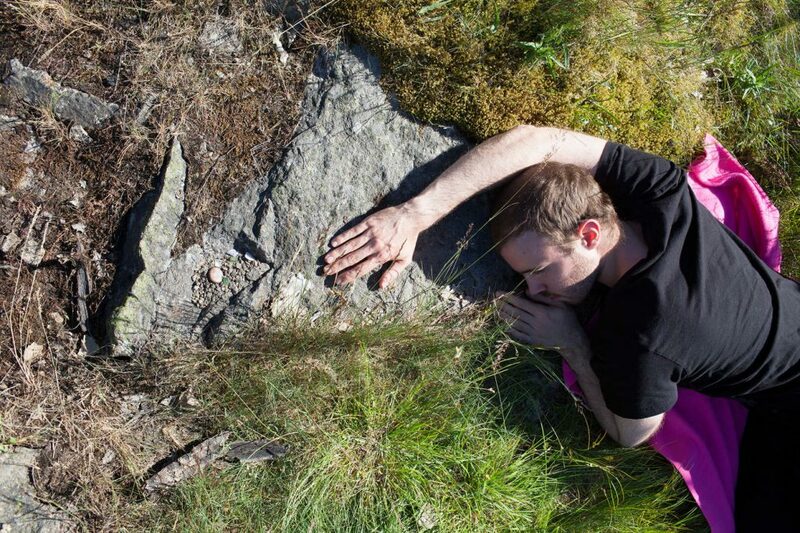 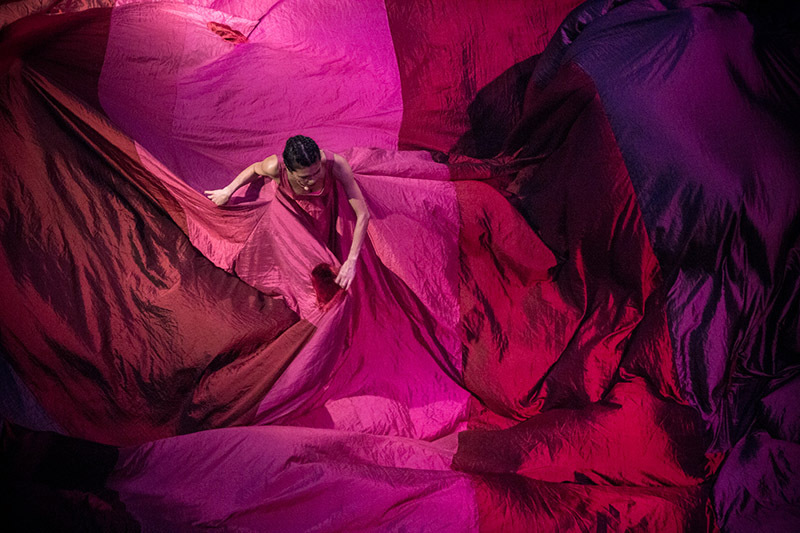 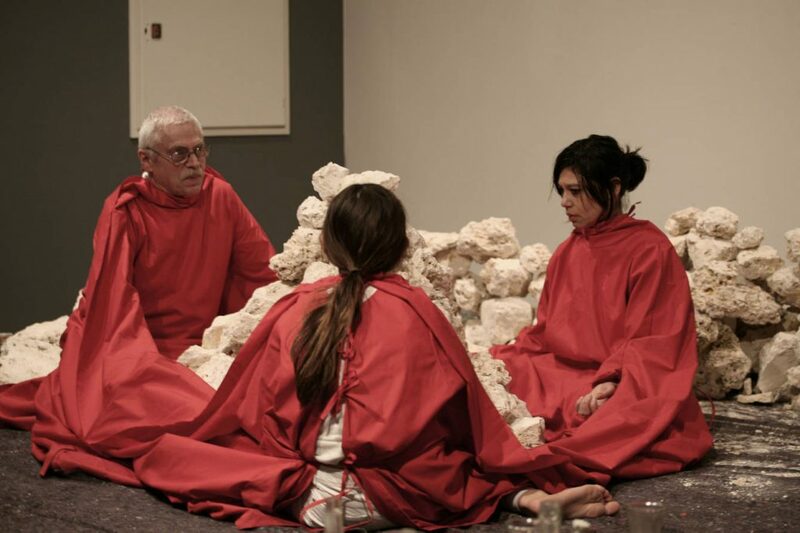 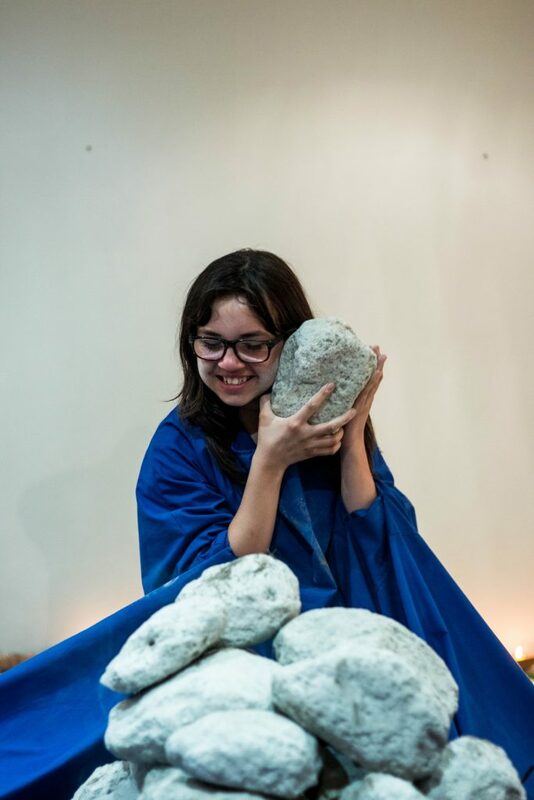 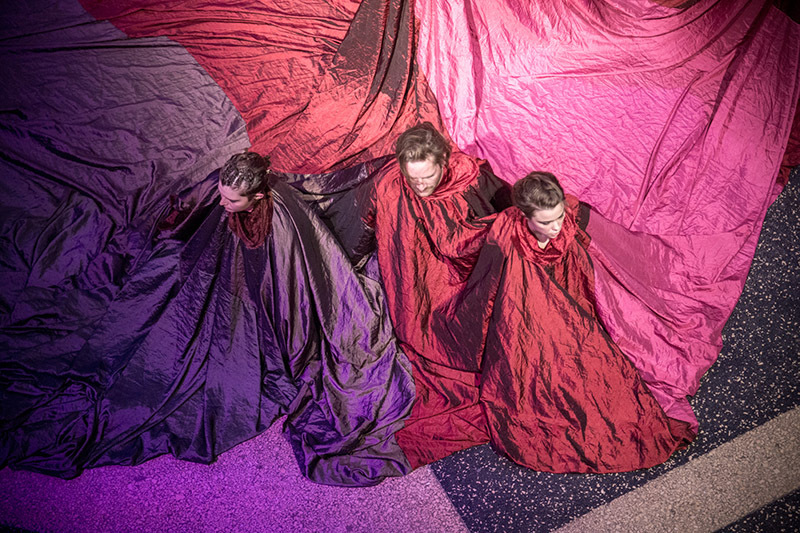 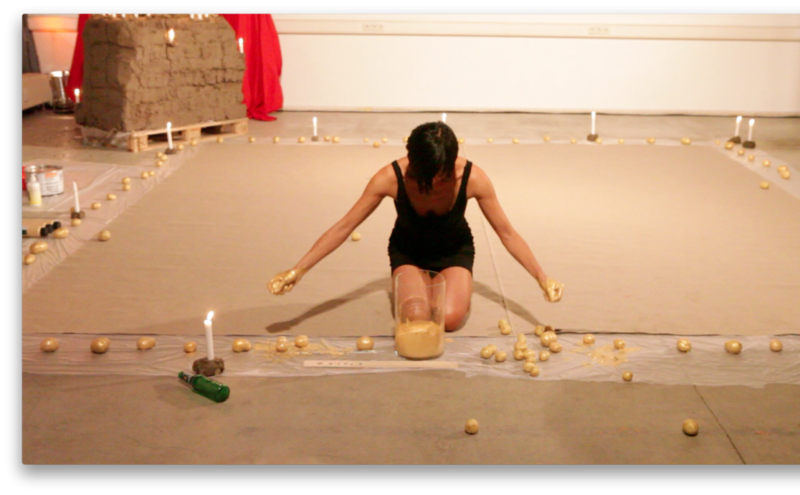 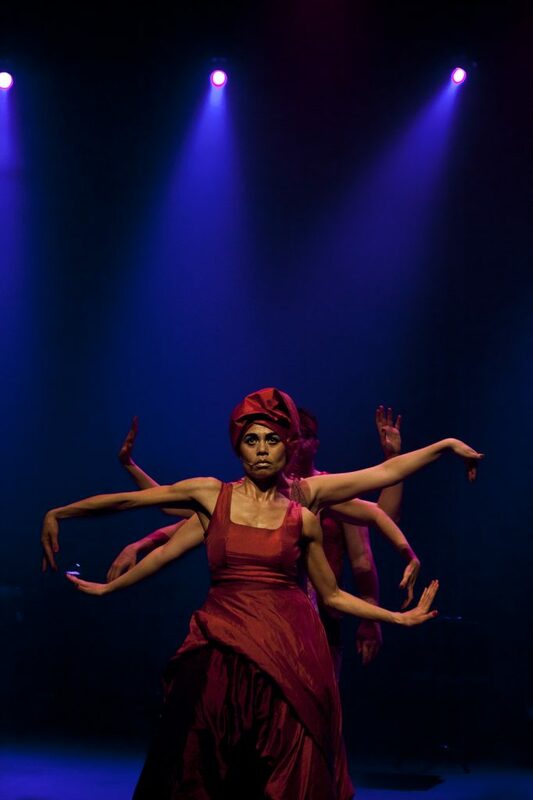 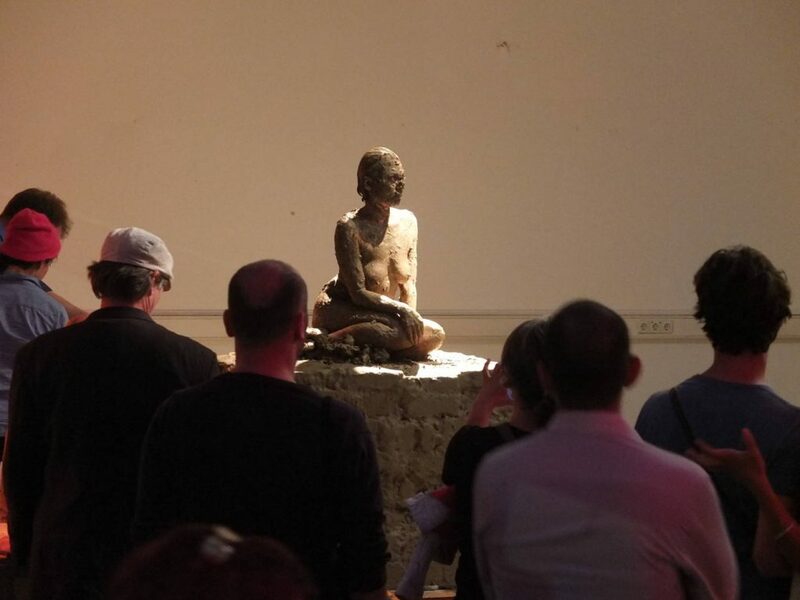 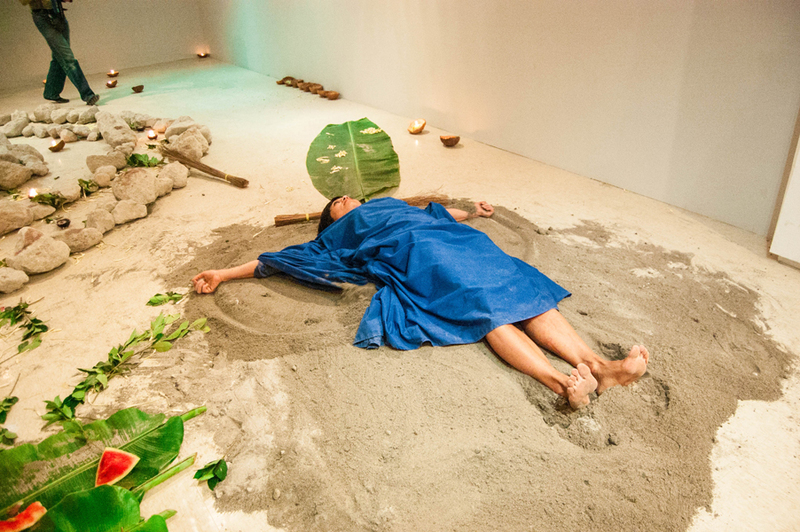 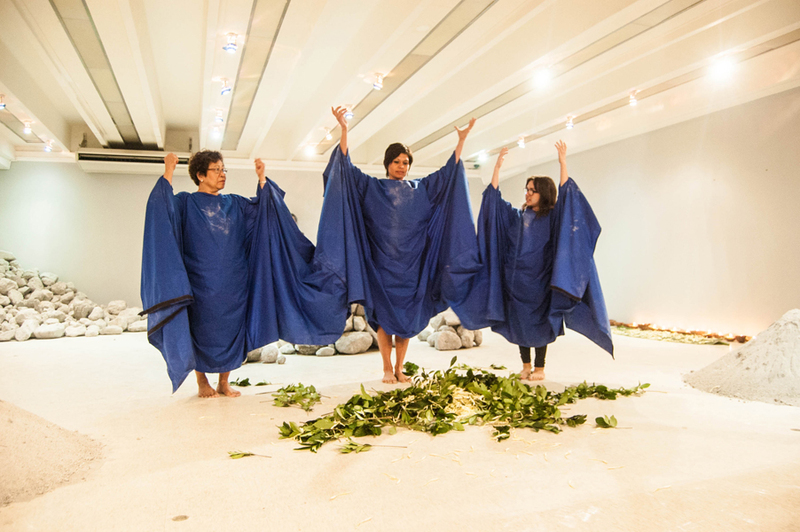 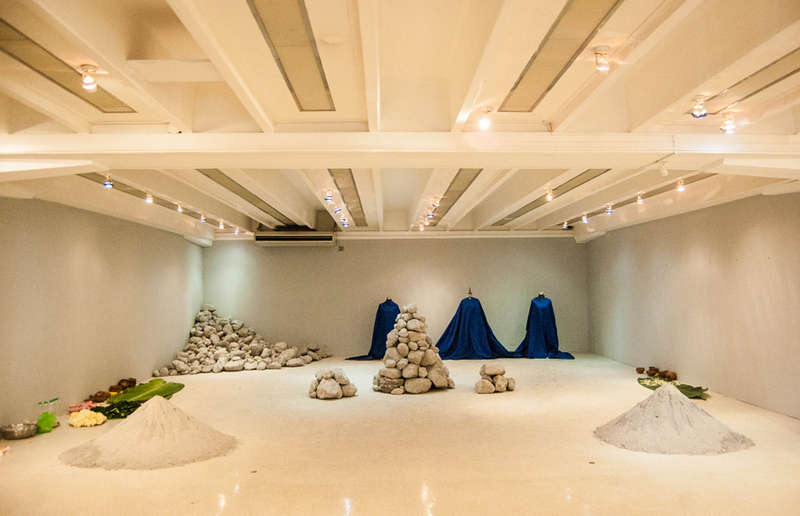 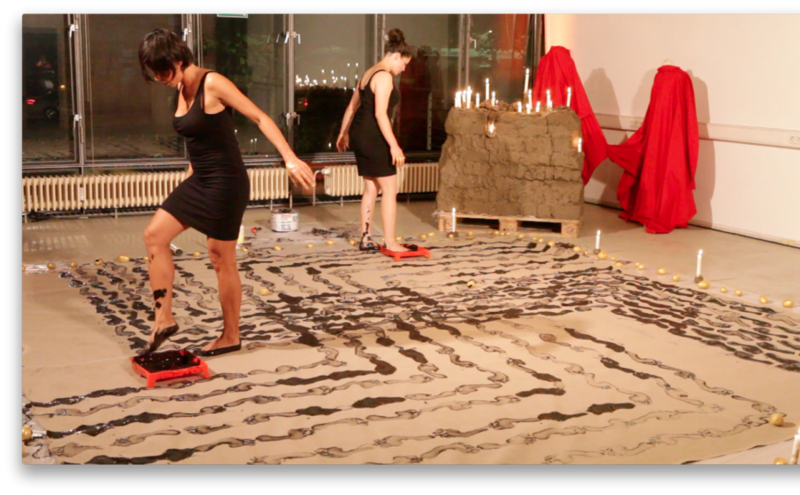 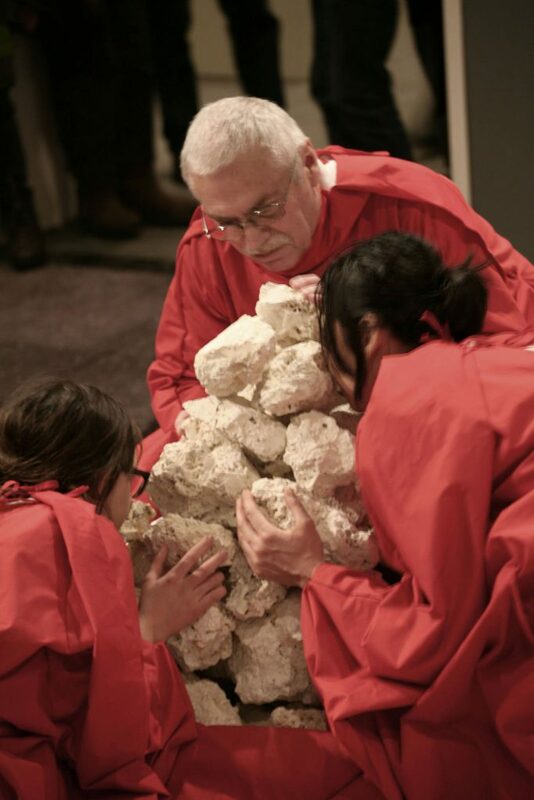 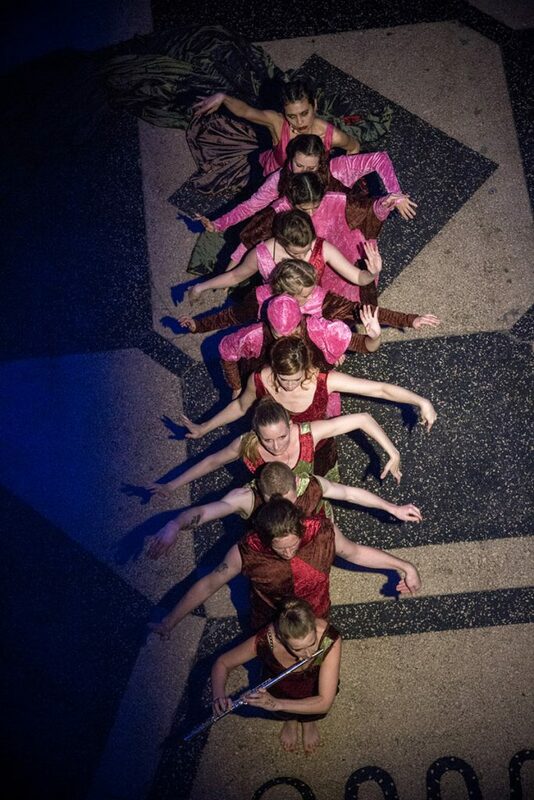 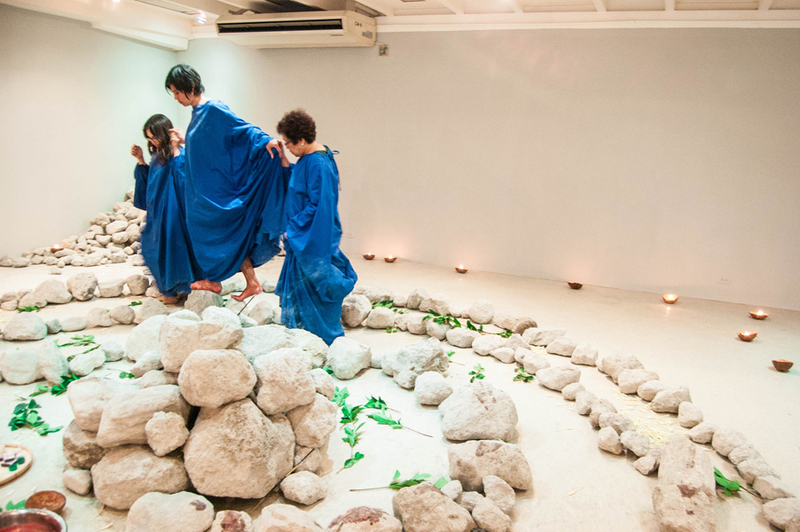 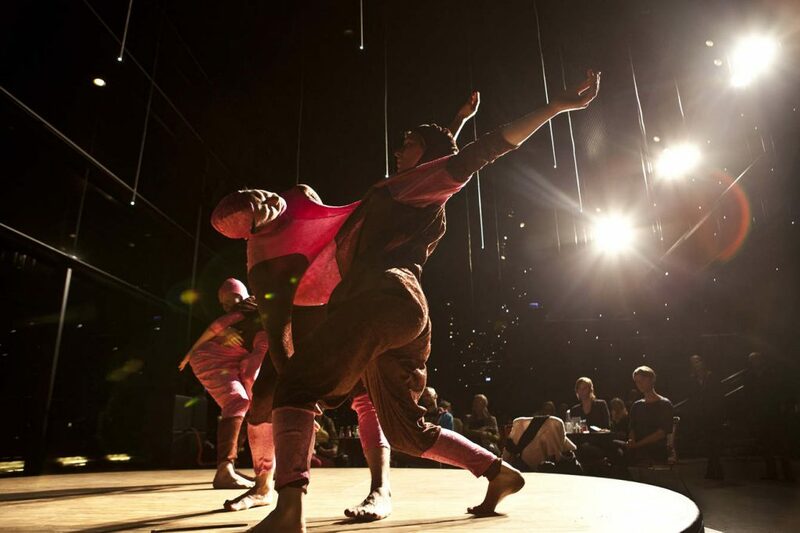 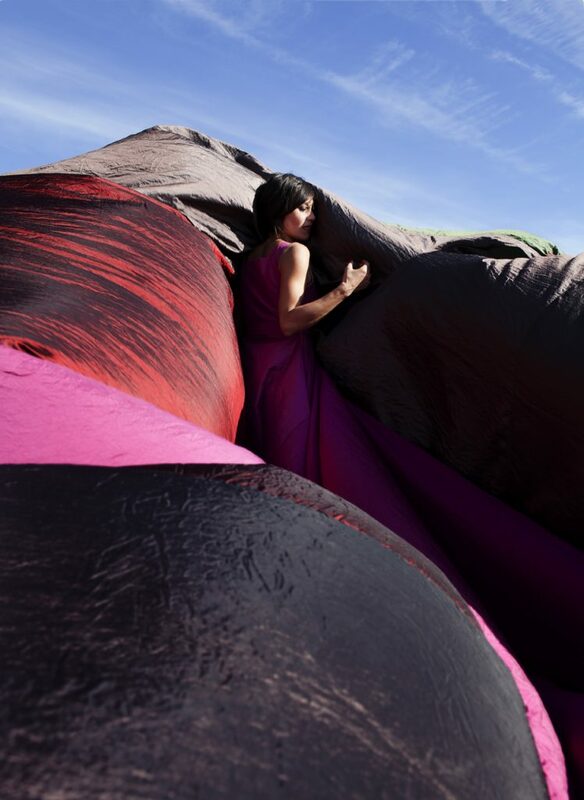 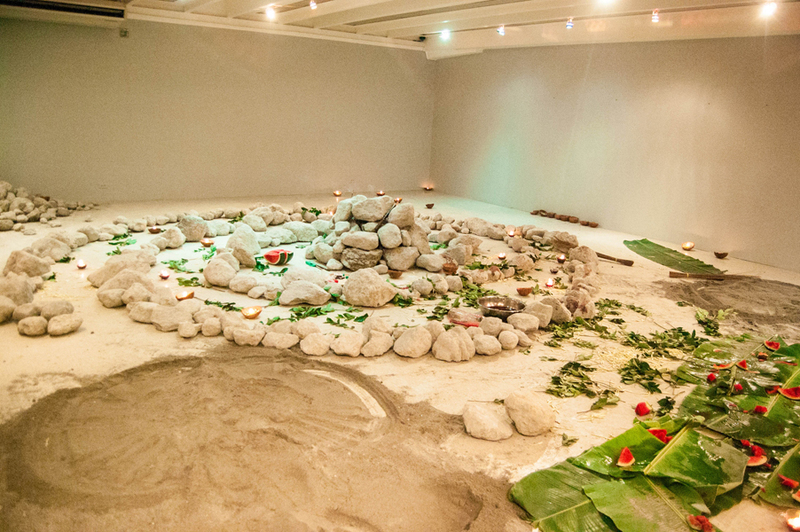 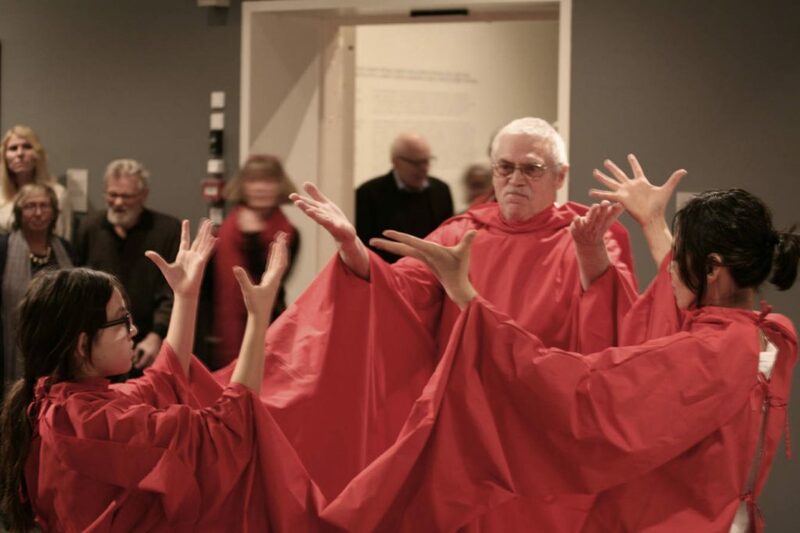 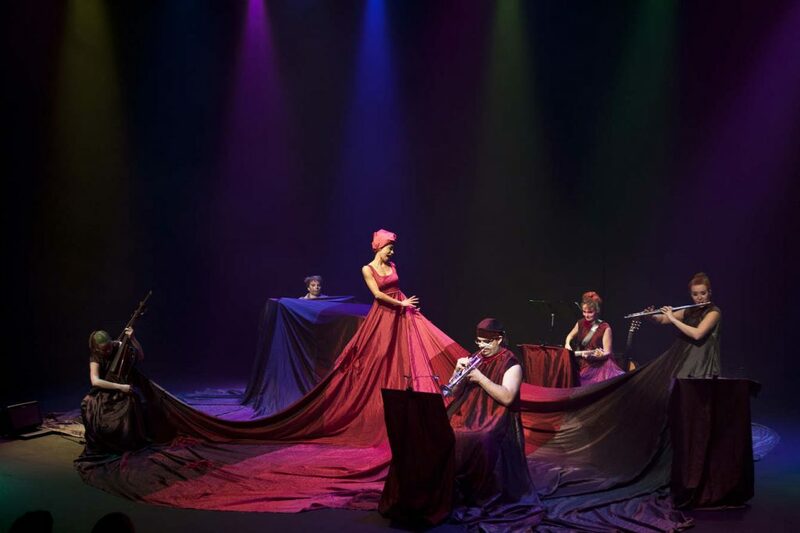 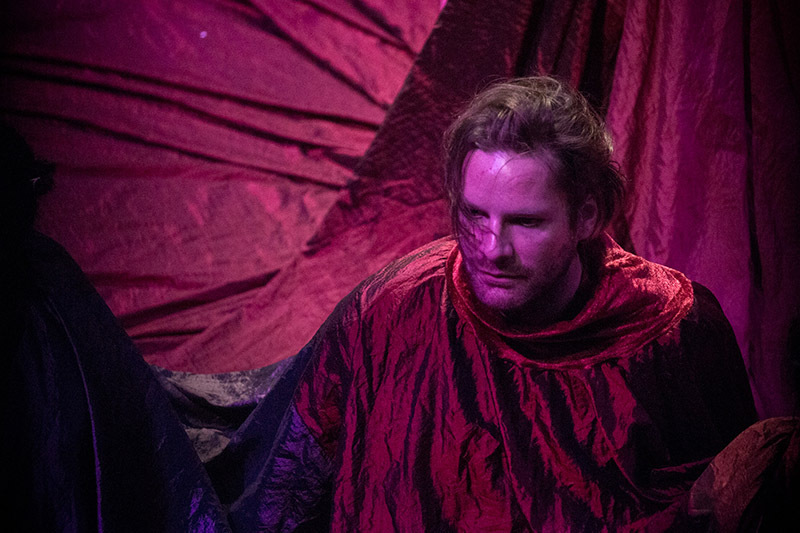 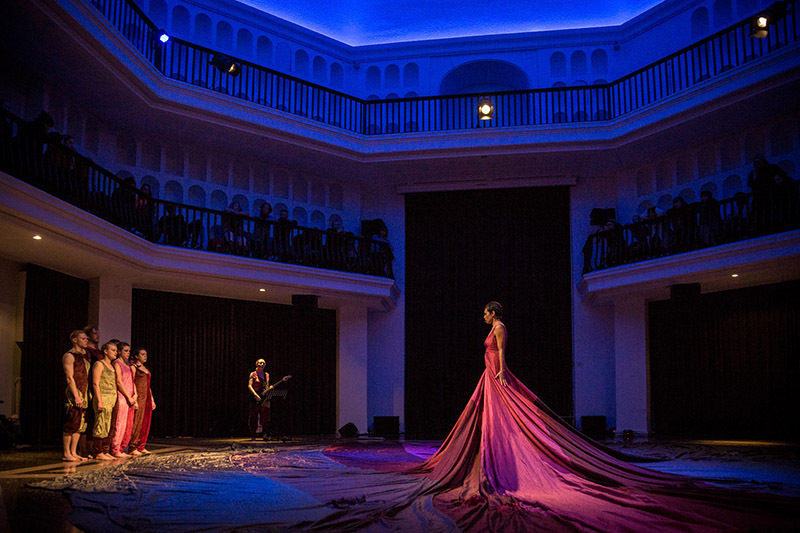 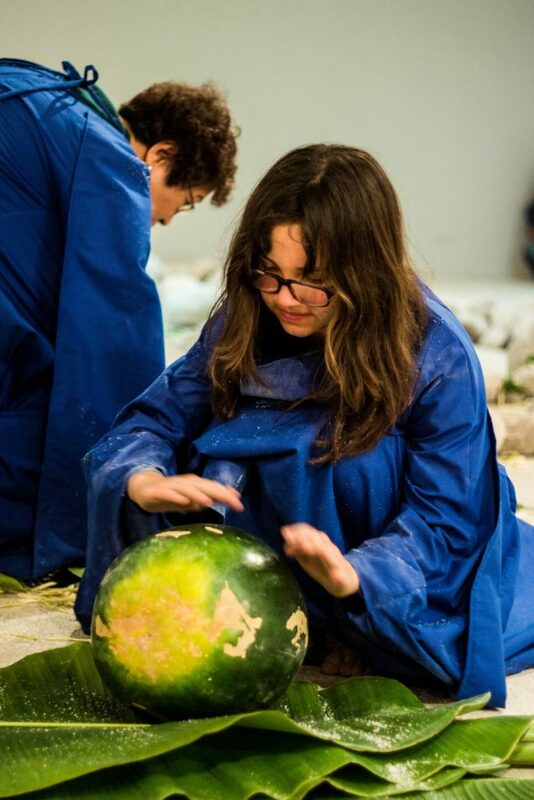 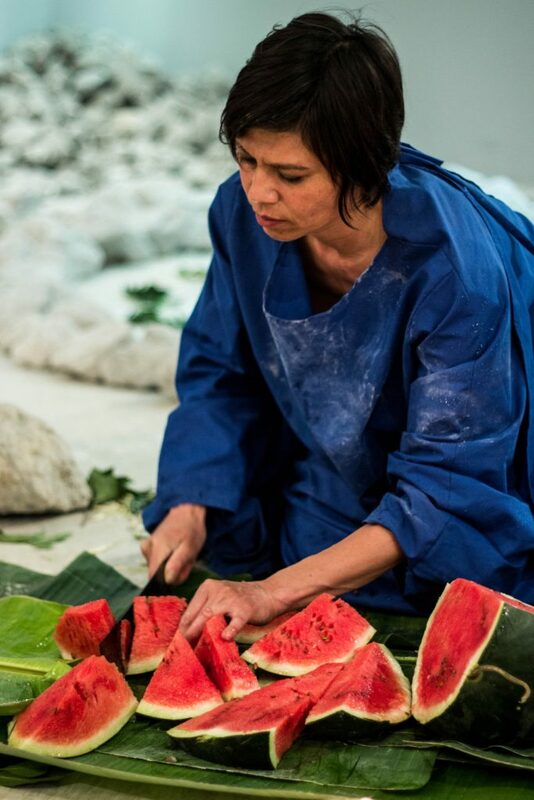 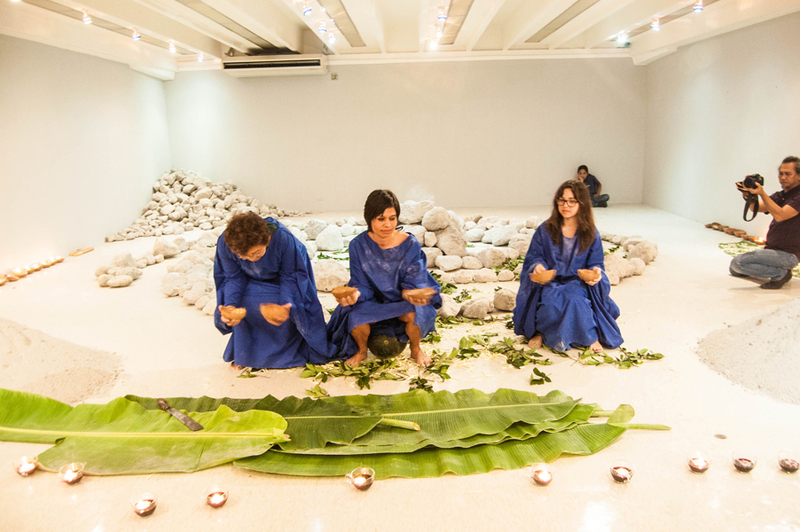 “Gaia” is a serial site-specific sequence of performances that take their point of origin in cultural identity and in the individual’s connection to a place and to the ground where it was born and where it “happens to be”. 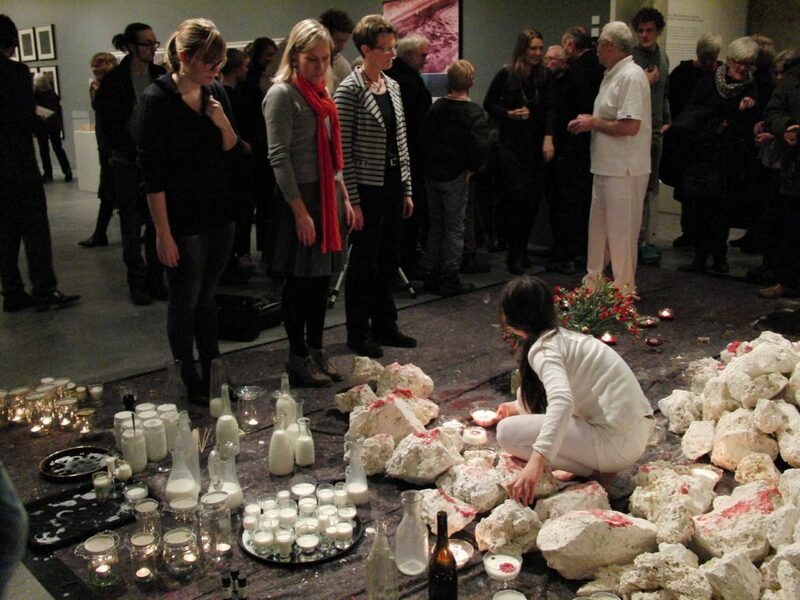 The series was ushered in at Sorø Kunstmuseum with the performance that was called “Gaia #1 Denmark”, which I created in collaboration with my father and my daughter. 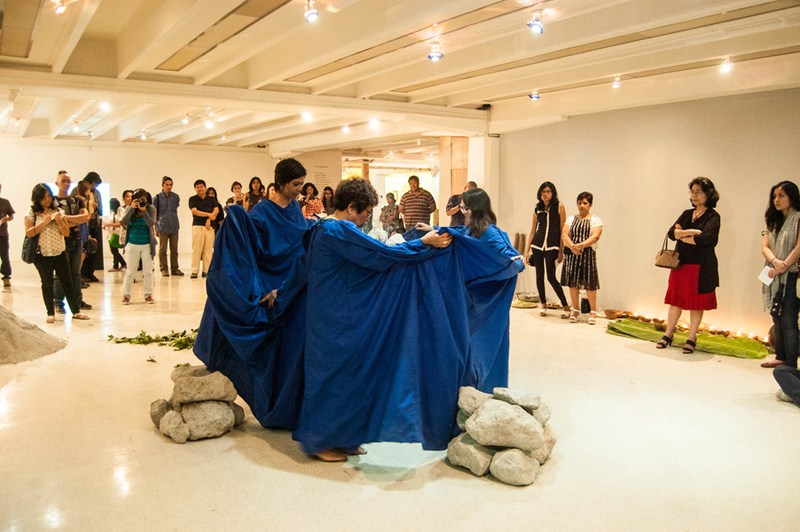 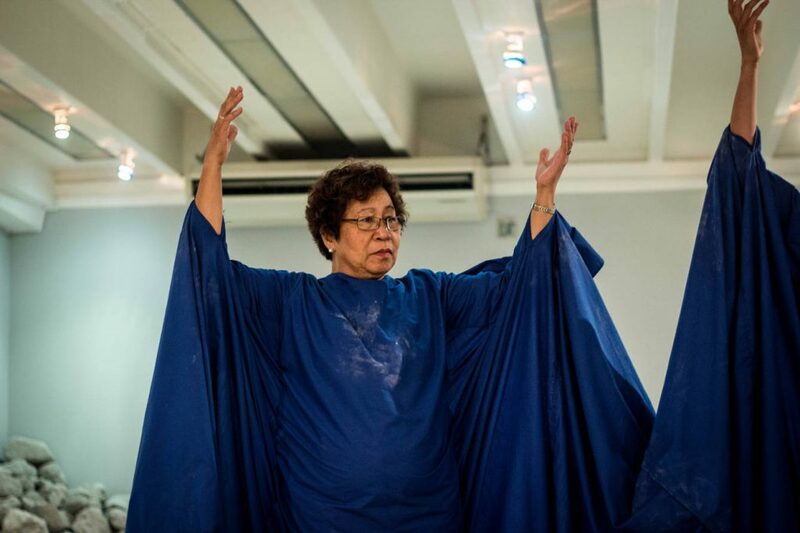 Subsequently, I performed “Gaia #2 Philippines” in the Philippines, at Ateneo de Manila; this time around, however, I performed the piece with my daughter and my mother, who replaced my father. 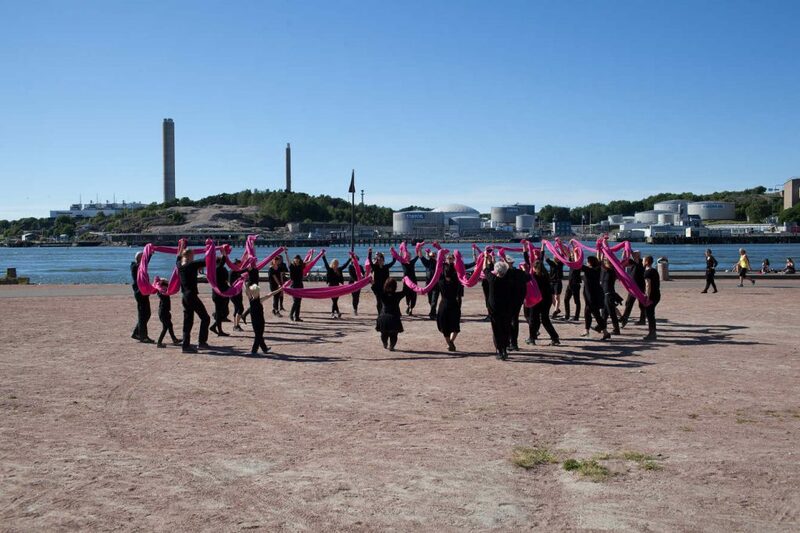 Both of these sites form the background of my cultural identity: it was in Manila that I was born and it was in southern Sjælland, Denmark, that I grew up as a child. 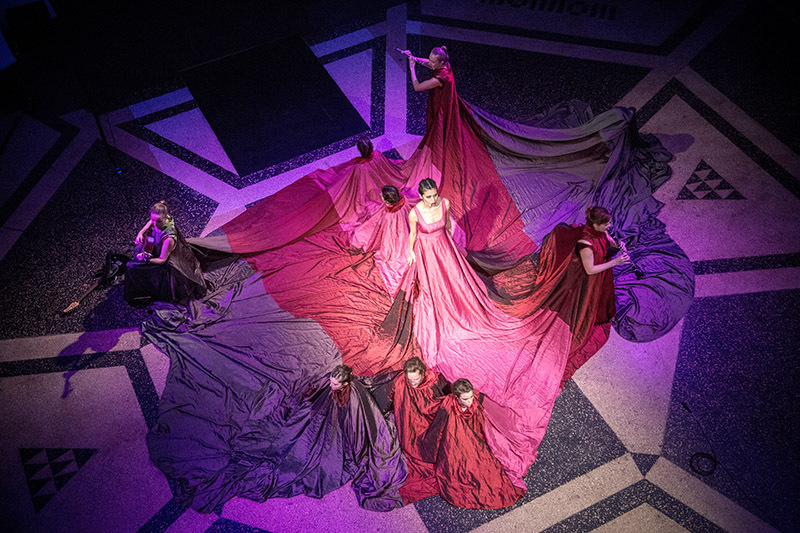 The first two performances were different from the next two presentations that were presented, respectively, in Hamburg (Gaia #3 Hamburg) and in Guangzhou (Gaia #4 China). 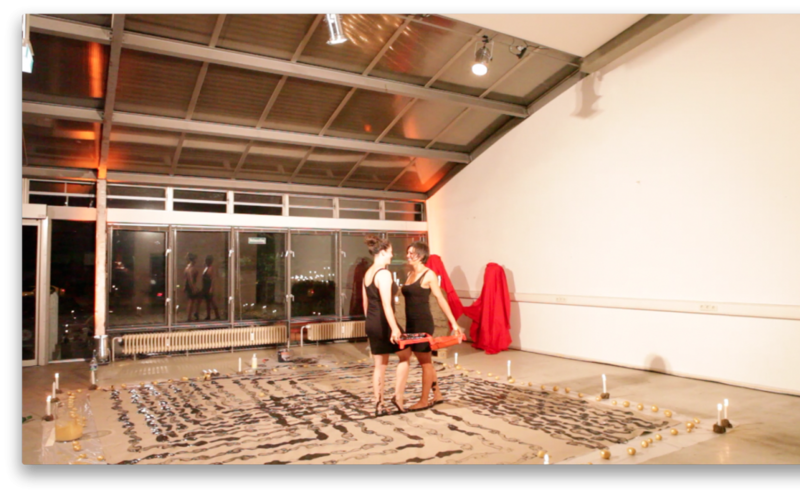 In these two latter places, I had been invited to create new works on foreign territory. 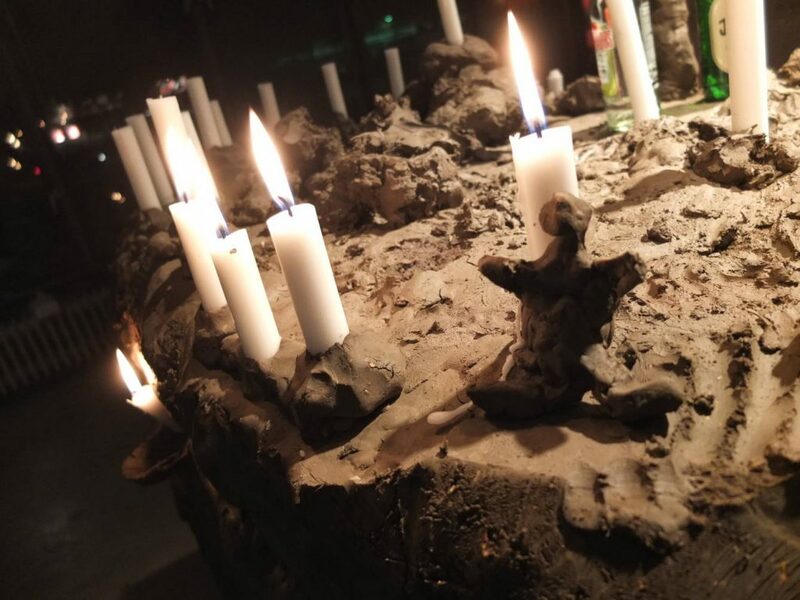 It’s interesting for me to work in a serial way; doing so provides an overall framework that can move and develop in widely different directions. 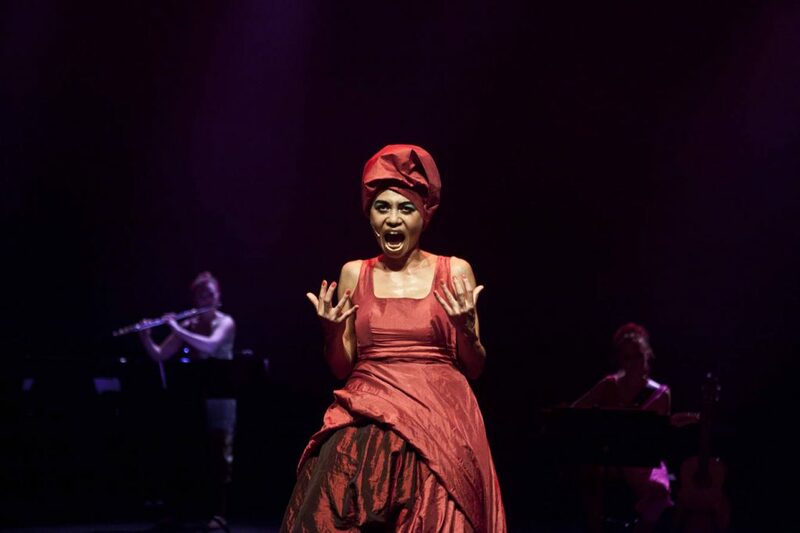 In hindsight, when I look at the sequence of video documentations, there is a vast difference between the first performances in Sorø and Manila and the next two in Hamburg and Guangzhou. 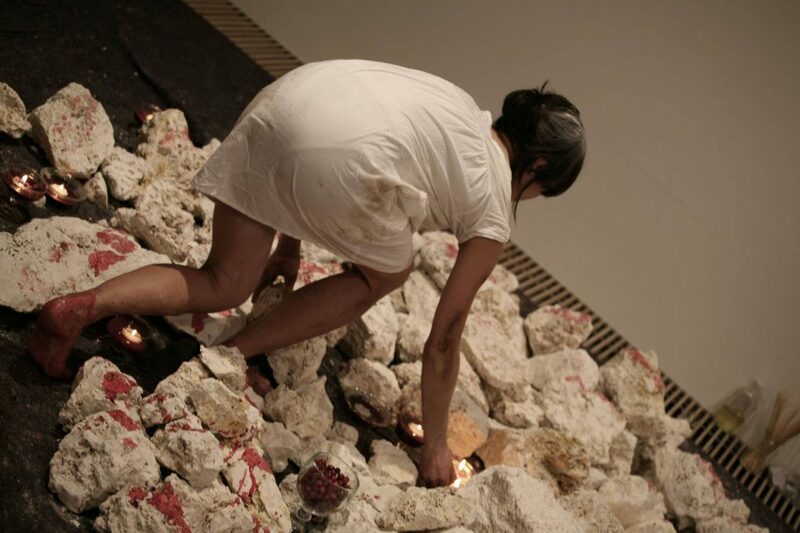 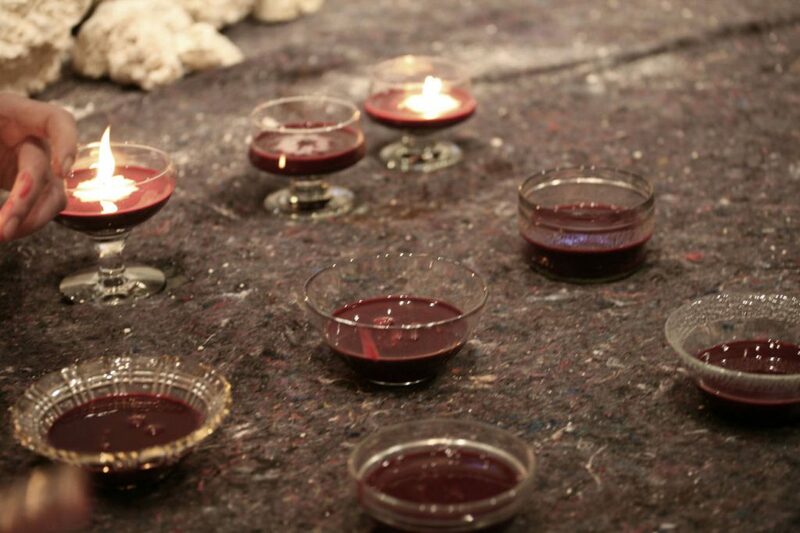 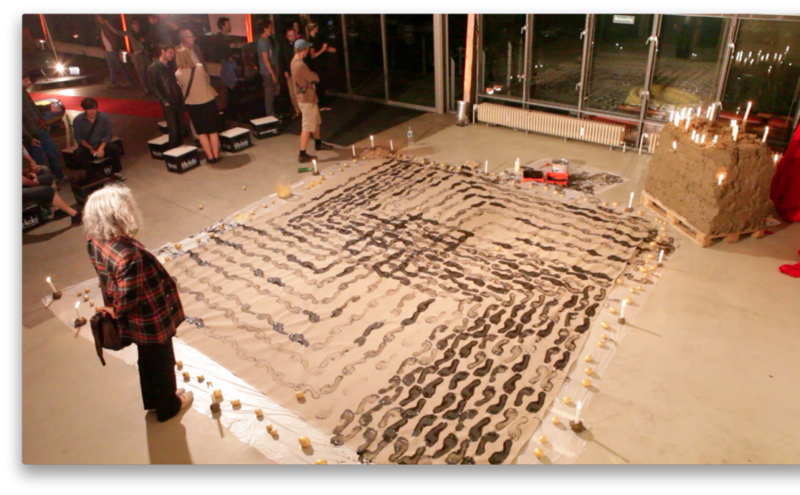 The last two have become more political and were more focused on the materials’ metaphoric and symbolic aspects. 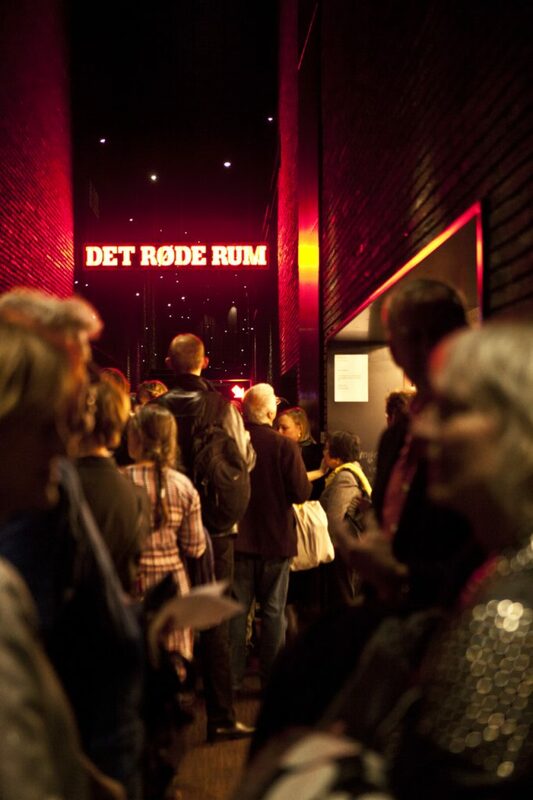 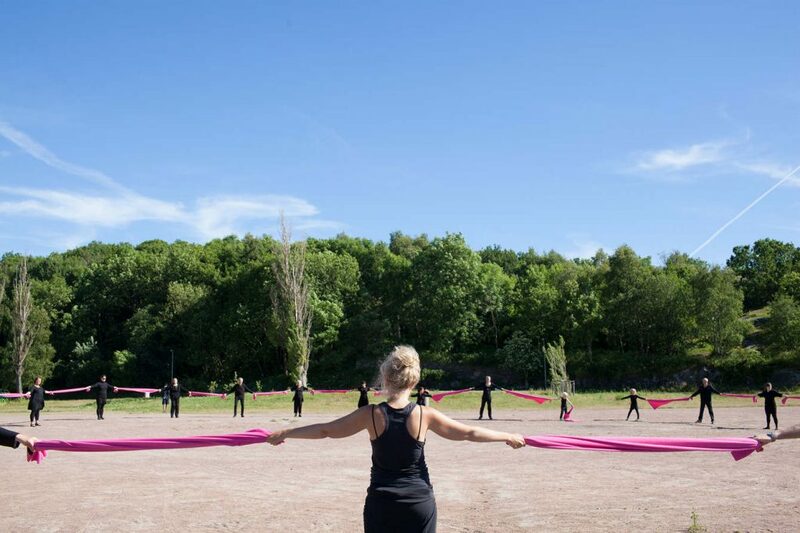 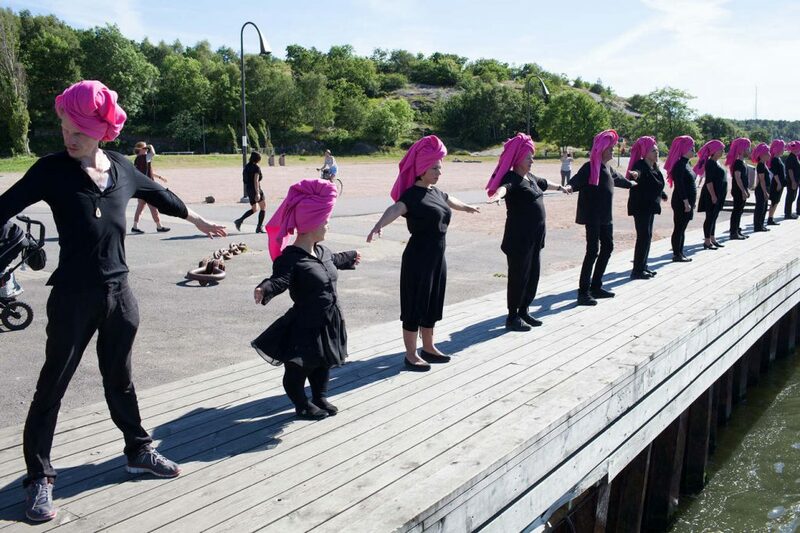 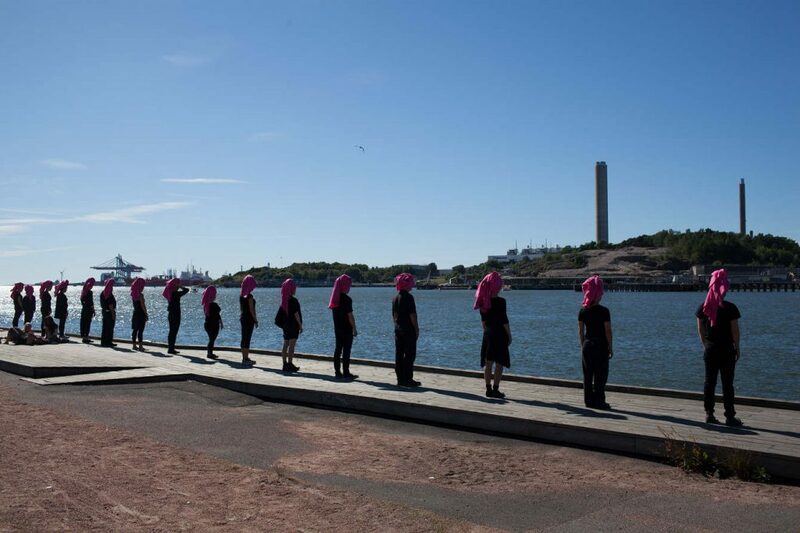 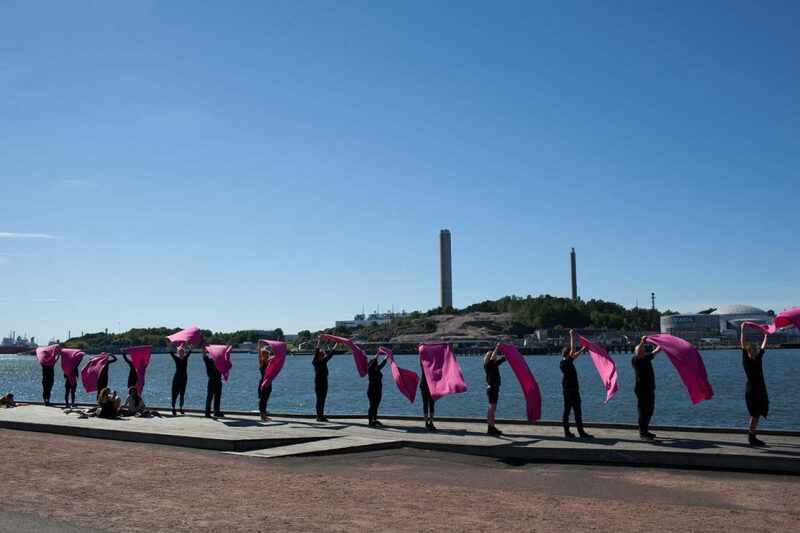 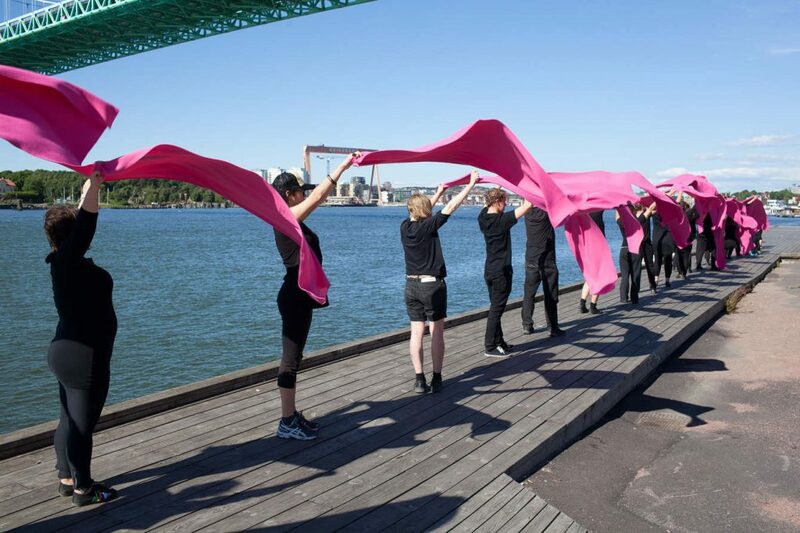 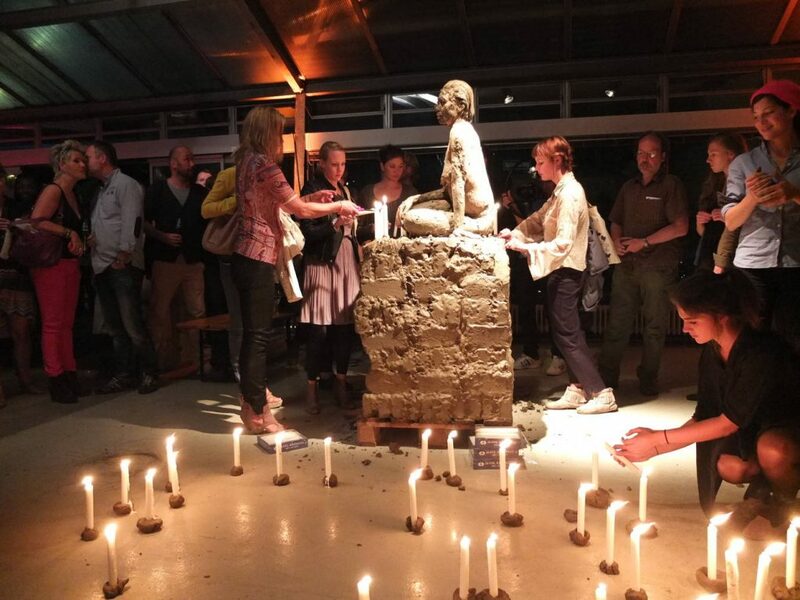 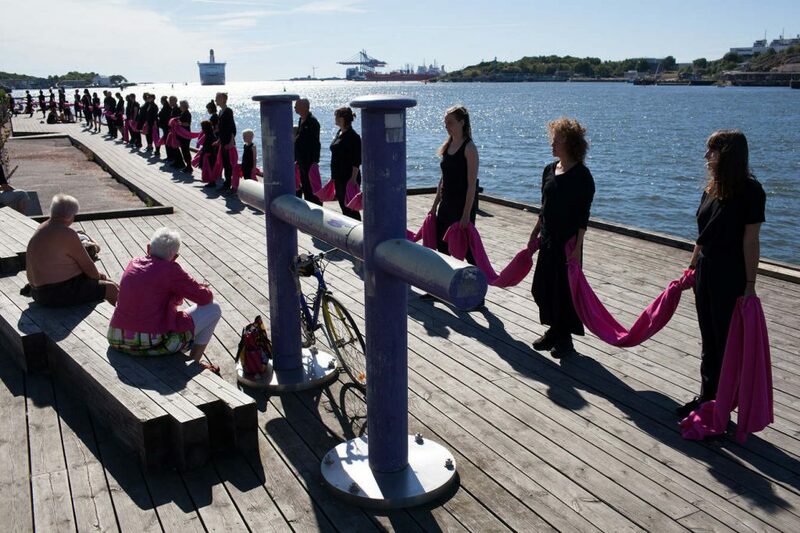 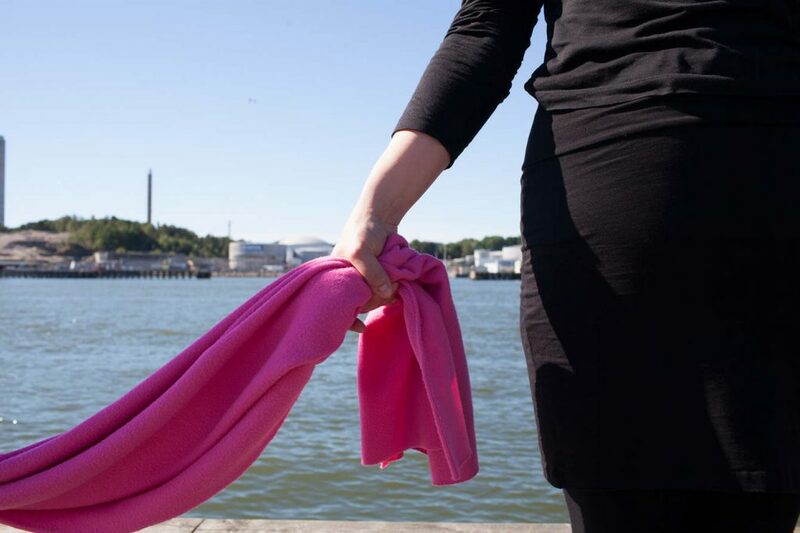 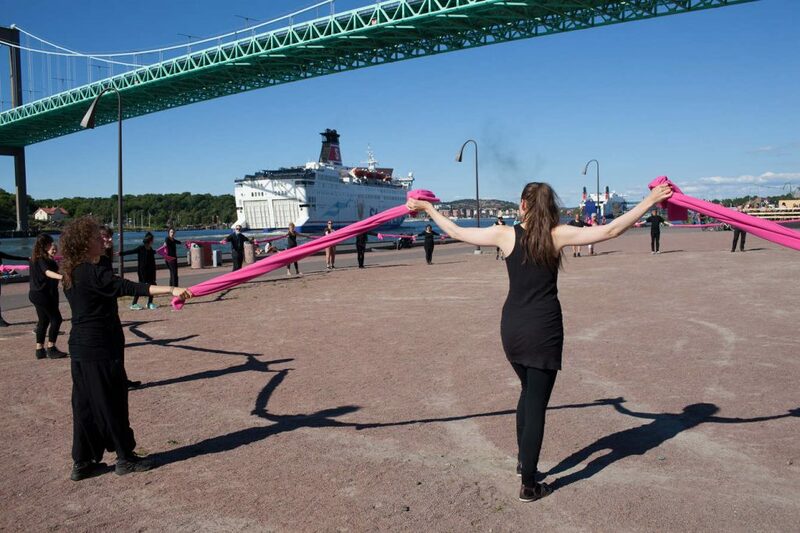 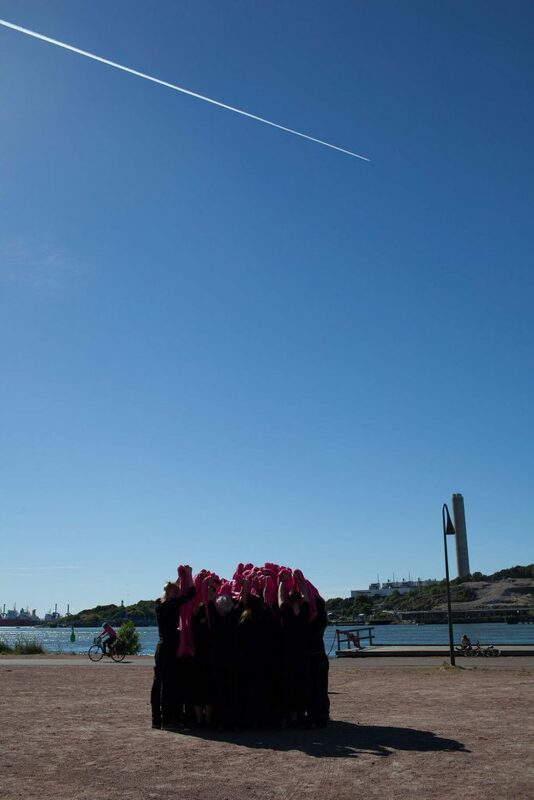 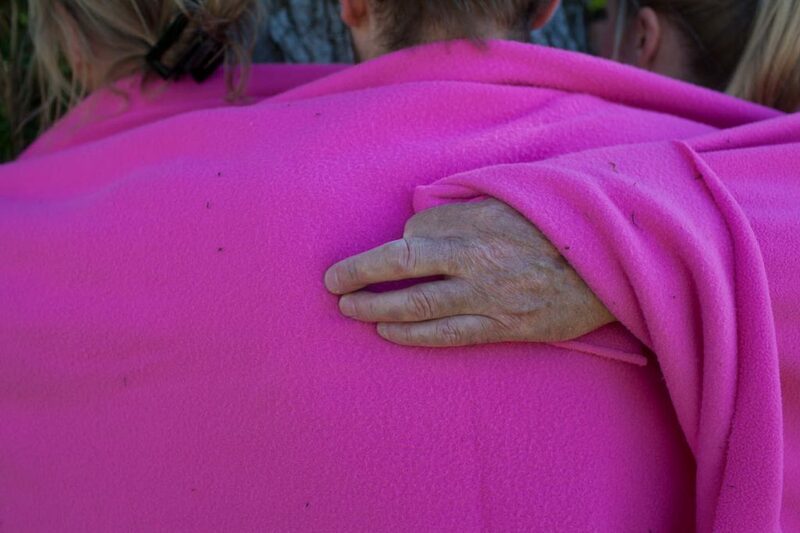 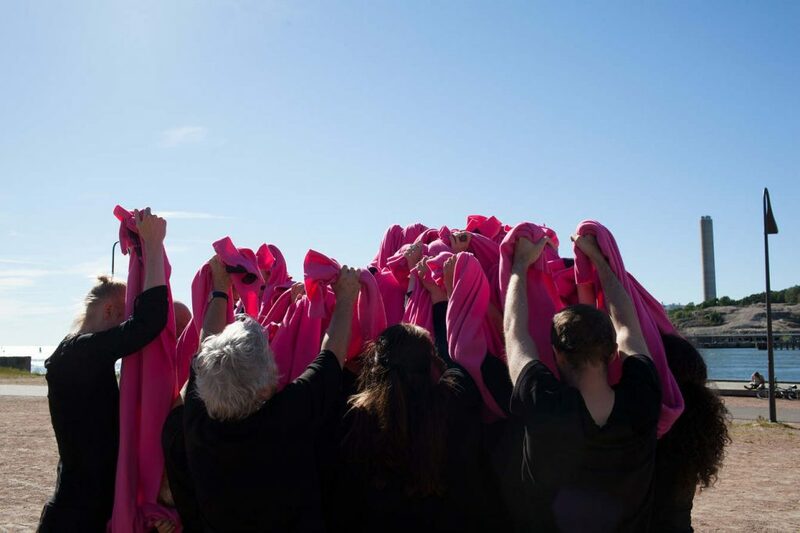 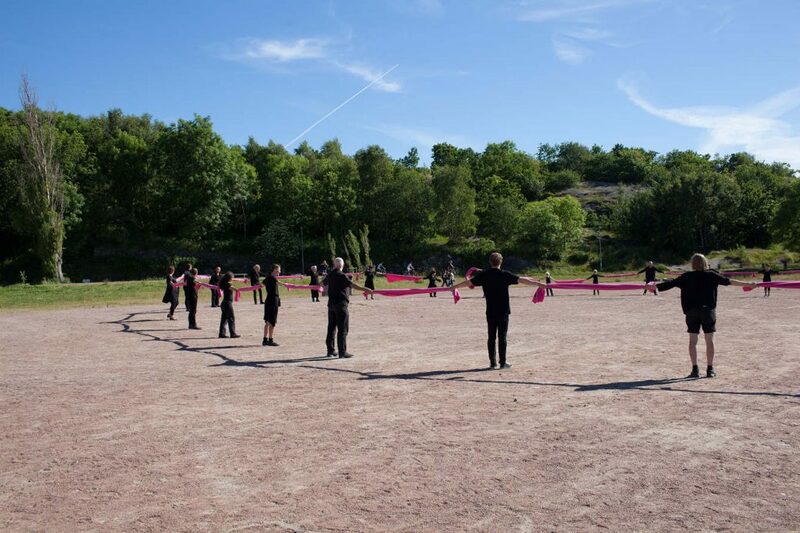 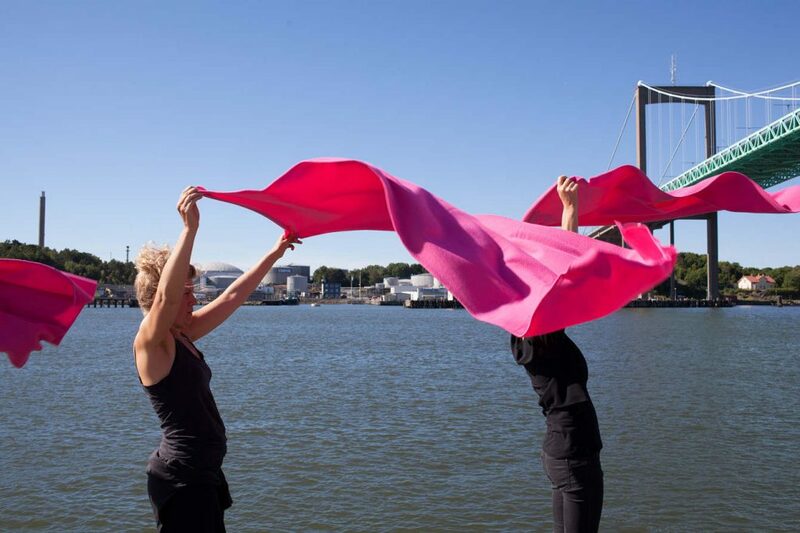 Site-specific performance with 40 volunteers’ performers from Göteborg. 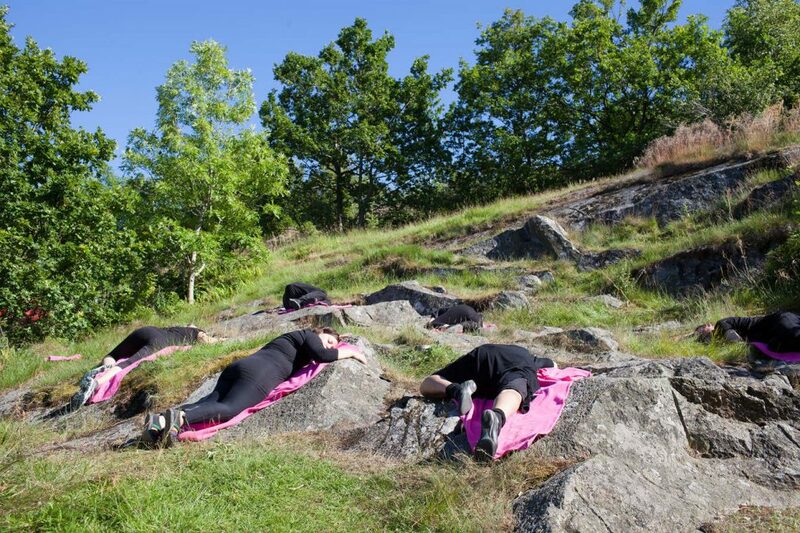 Based on a 2 days workshop at Röda Sten Konsthal. 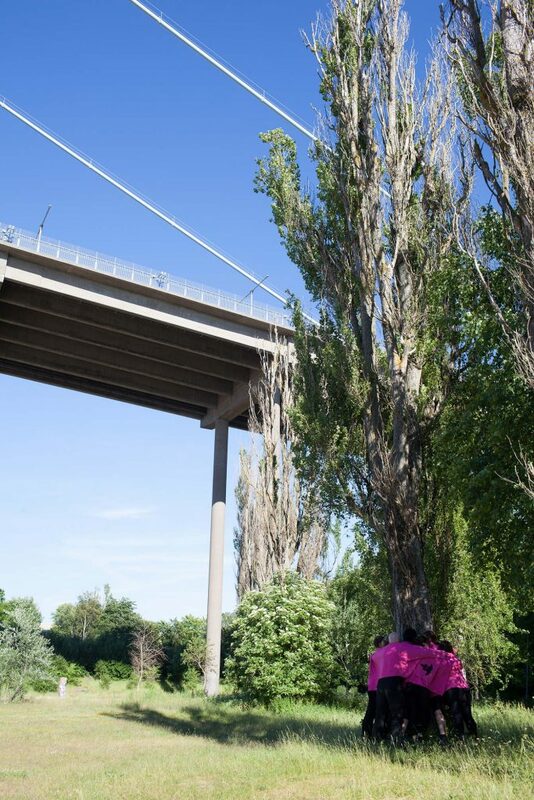 About the relation and communication between the individual body, the group and the environment: in cooperating the surrounding cliffs, water, trees, the bridge, at the end joining each other in a circle.